These fast and healthy recipes come together in a snap. By Jamie Ducharme·	 9/18/2017, 11:35 a.m. In our constantly over-scheduled and over-stimulated lives, food often becomes an afterthought. We eat breakfast on our way out the door, scarf down lunch at our desks, and squeeze in dinner somewhere between evening commutes, kids’ soccer games, and some semblance of a personal life. In short: When it comes to cooking, the best recipes are, well, short. With that in mind, we tapped the experts at four local meal planning services, who provided us with fast and healthy dinner recipes that’ll get you through the work week. Each one can be made in 25 minutes or less, so get cooking. Via Just Add Cooking, a sustainably minded local meal kit service that sources ingredients from New England farmers, fishermen, and artisans. 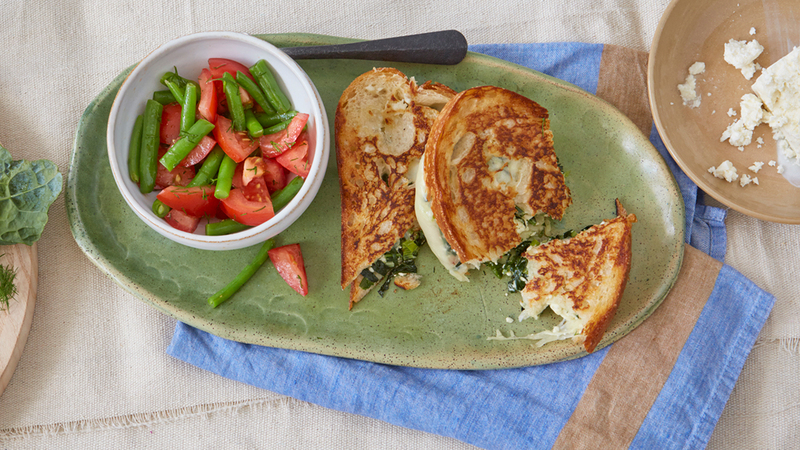 A grilled cheese recipe that parents and kids will enjoy? Yes, please. This version riffs on spanakopita, a classic Greek pastry stuffed with spinach, feta, and herbs. Served with a green bean salad, it’s a balanced meal you can feel good about throwing together. Get the full recipe here. Via Farmers to You, an online farm-to-table grocer that delivers ingredients grown in Vermont to your home, office, or neighborhood pick-up site in Greater Boston. 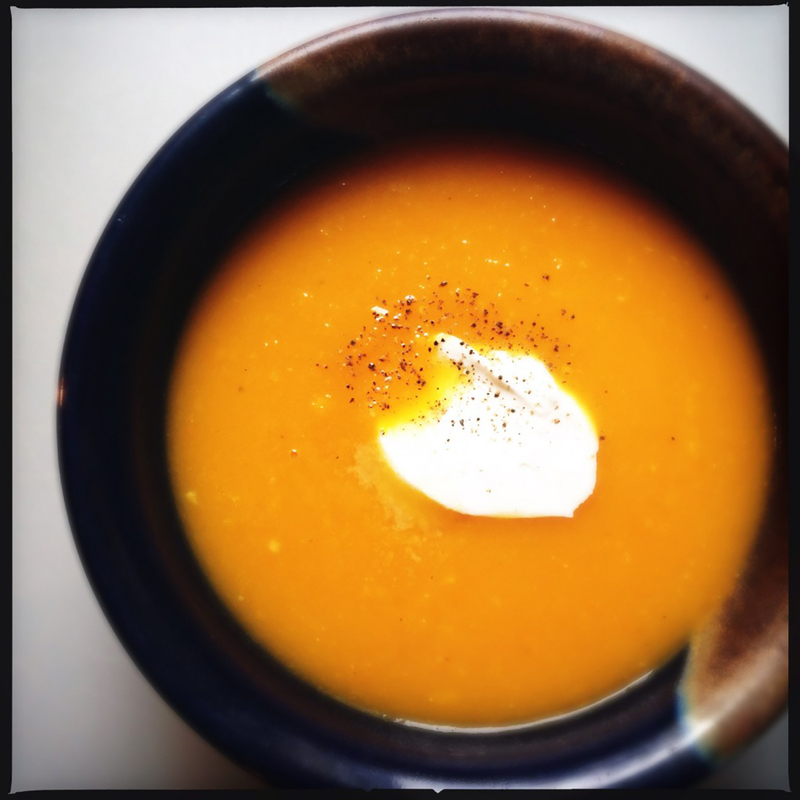 Butternut squash soup is a fall classic for a reason. Thanks to carrot and ginger, this one has a complex flavor that blends sweet, savory, and spicy notes. You can add cream, milk, sour cream, or coconut milk to give the soup a creamier texture. Find the recipe here. Via Purple Carrot, a plant-based meal kit service that sources ingredients from farmers. 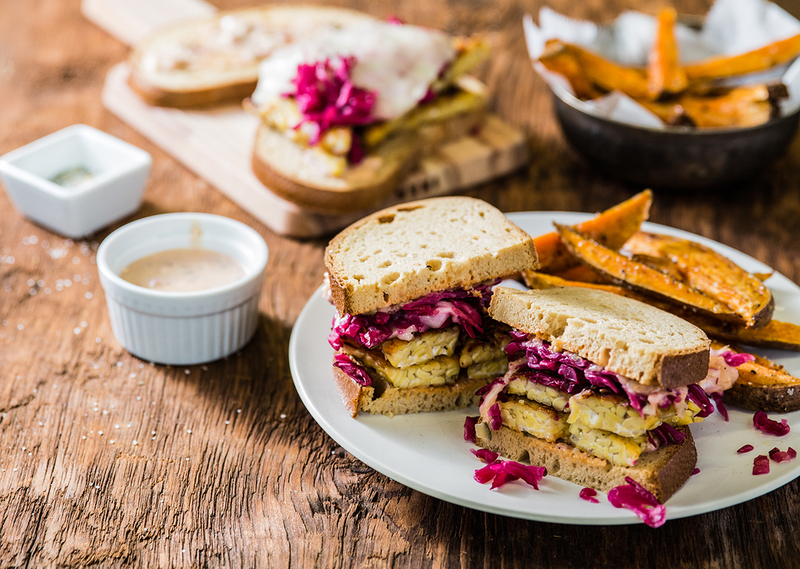 Believe it or not, this reuben is completely plant-based, using tempeh, vegan mayonnaise, and vegan mozzarella cheese. If you make this recipe without the accompanying sweet potato fries, it’ll come together in just 15 minutes. Via the Dinner Daily, a meal planning service that customizes affordable, healthy menus based on sales at your local grocery store. There comes a time in every home cook’s life when he or she never wants to look at another boring old chicken breast ever again. This recipe, however, may help you fall back in love with poultry. 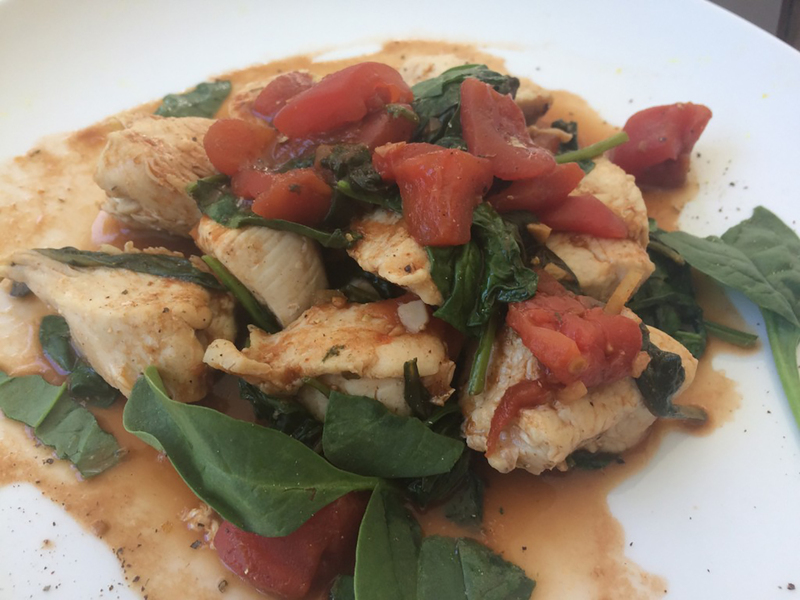 Balsamic vinegar and garlic add plenty of flavor, while tomatoes and spinach sneak in some extra veggies. See the recipe here. This is not your average (read: sad) Caesar salad. 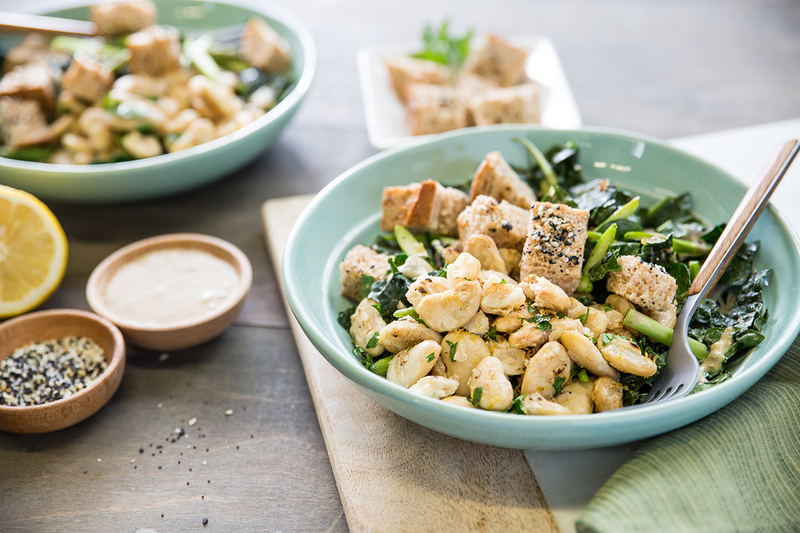 Butter beans add creamy plant-based protein, while everything bagel croutons are a fun accent. (If you want to make your own everything bagel seasoning, just combine poppy seeds, sesame seeds, garlic power, onion powder, and salt.) To have dinner ready in just 20 minutes, use this recipe and eliminate the asparagus.